OAKLAND, Calif. -- All lanes of I-880 have reopened after a large sinkhole closed part of the busy freeway. 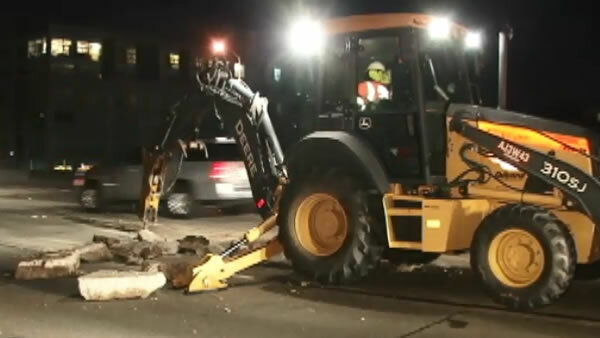 Crews worked through the night to repair three lanes of southbound I-880 in Oakland. A Sig Alert was lifted just before 2 a.m.
Crews had to repair three large cracks in the road between Broadway and Oak Street.